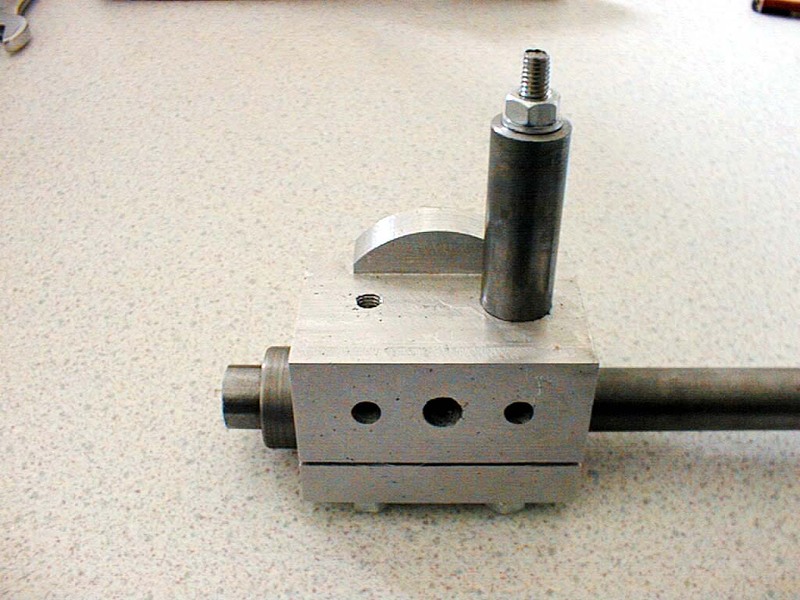 The work head holds the gear blank to be cut, this being mounted on an arbor above which is suspended a bracket and worm gear. 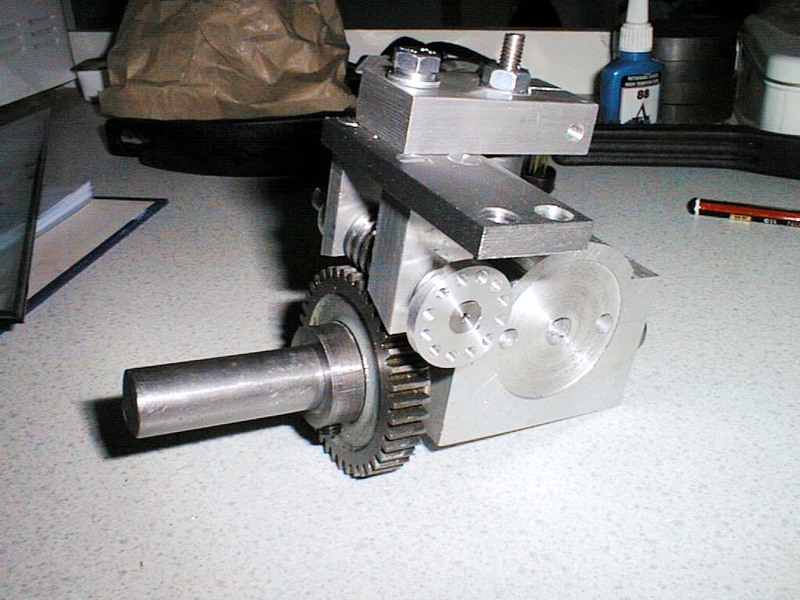 The worm gear drives a spur gear on the arbor, with this spur gear being a normal Myford change wheel typically of 40 or 60 teeth (3/8" thick, 5/8" bore, 20DP). 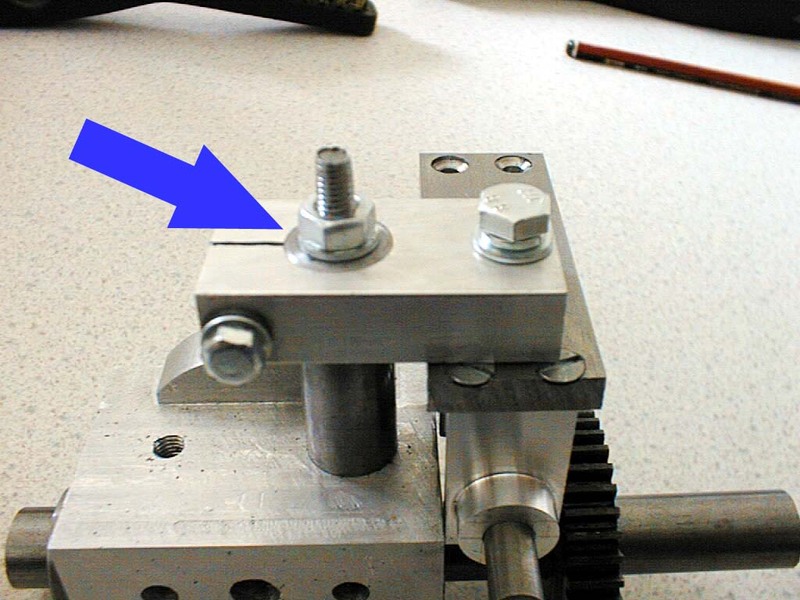 10-May-2003: Jacobs used a piece of 2 1/2" round aluminium bar to make his work head, simply by squaring off the round bits and putting all the holes in the right places. 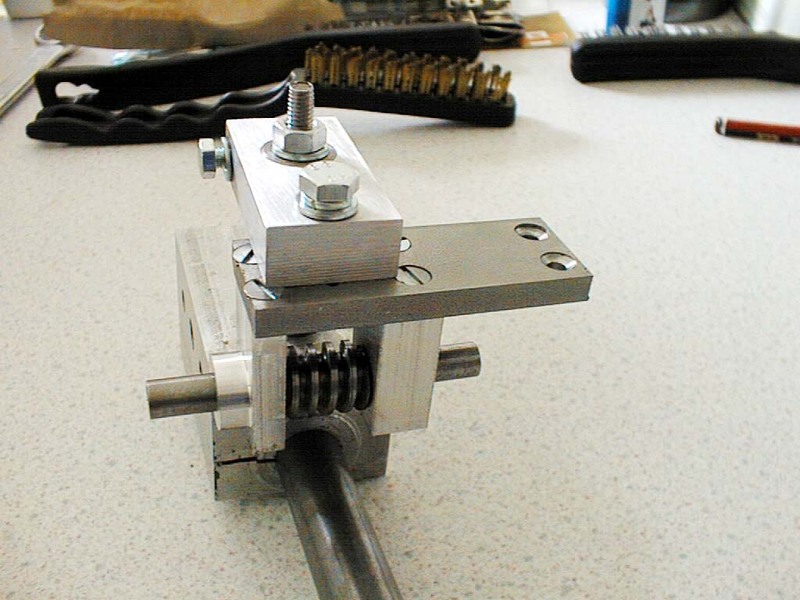 My own preference was for a simple rectangular casting machined to size. A stud is shown on the top which will support the column/bracket. Metric fasteners are used, where 1/4" has been called for this has changed to M6, 5/16" has been changed to M8 although the arbor has been left at 5/8" imperial size to fit the change gears! The business end of the arbor is 5/8" diameter and a small area has been milled out to allow for a 1/8" wide machine key to hold the blanks in place. The end has been tapped to take an M6 bolt. Deliberate mistake #1, what's going on here? 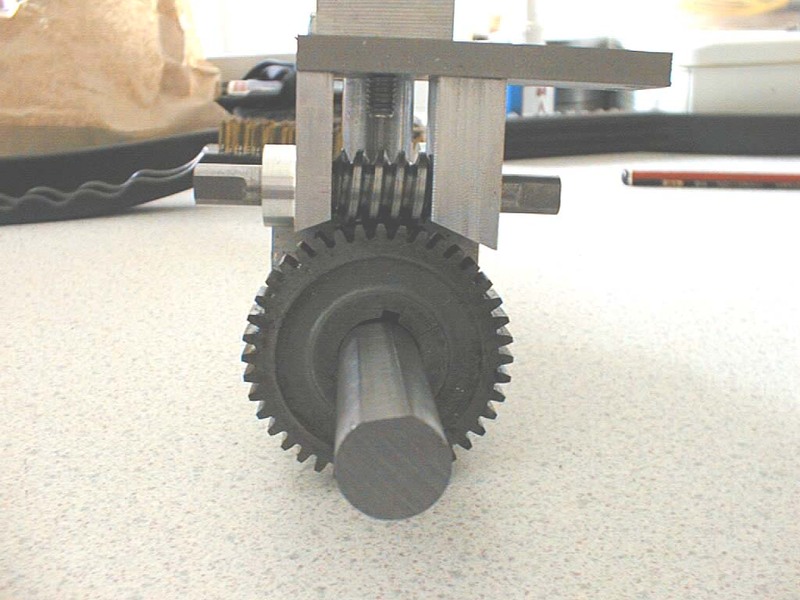 No way is that gear going to clear the bracket - reference to the original drawings shows that no way it ever would. Having a little think about how to solve this one. Deliberate mistake #2, the 1 1/2" height specified for the column might only raise the bracket enough for a 40 tooth wheel, but it is not going to go high enough to do a 60 tooth in a million years. New stud required, new column required of approximately 2 1/4" height (55-60mm range). Mistake #1 fixed. 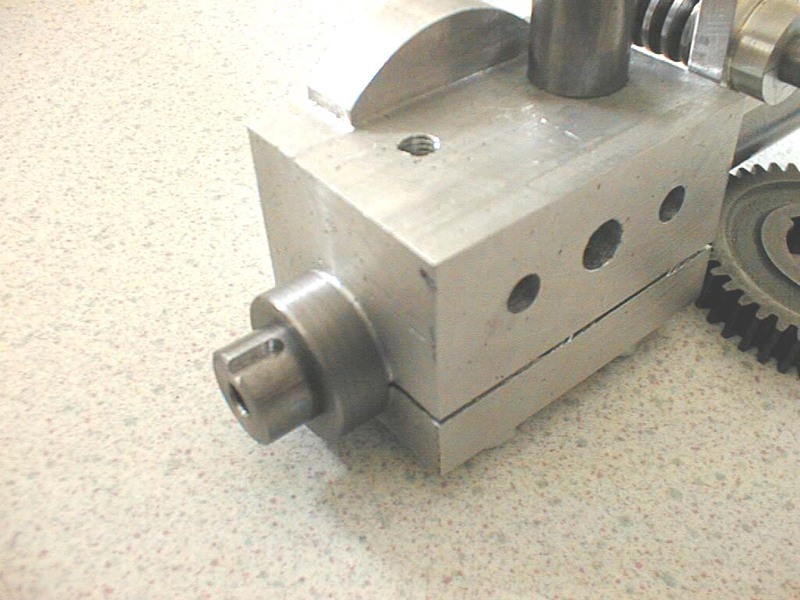 The problem with clearance on the gear teeth has been solved by putting the holding brackets in the milling machine and removing some material. 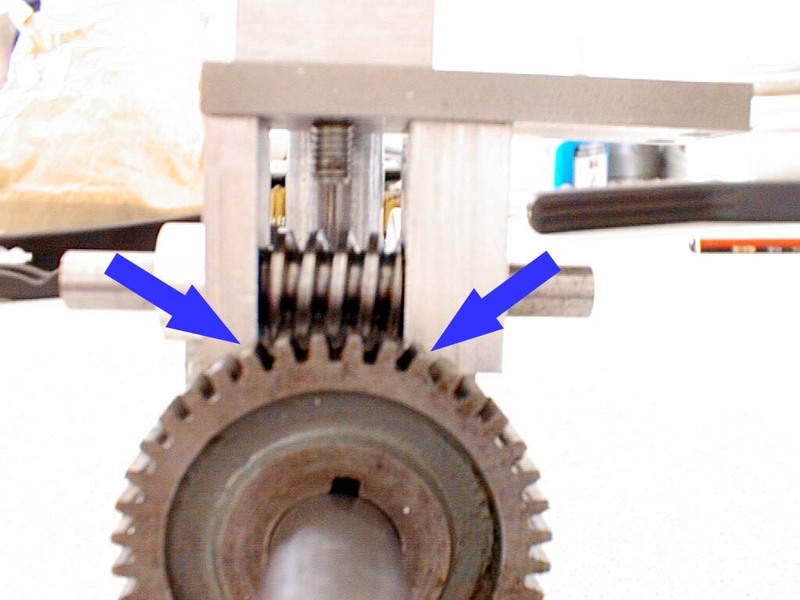 Note the flat on the shaft, but no means of radially locating the 40 tooth gear. After kicking some ideas around, this is what I've come up with for radially locating the change wheels. The collar has been made a little longer than normal, then milled back to leave a 1/8" wide by 1/16" high key which stops the gears from spinning round on the shaft. An M6 grub screw locks the collar solidly onto the flat of the shaft. This arrangement looks fragile, but I will give it a try for now. If they start snapping off, the shafts will get slotted to take 1/8" wide machine keys instead. There is mention in the original article of a pawl and pawl carrier and a few clues about how it fits together. 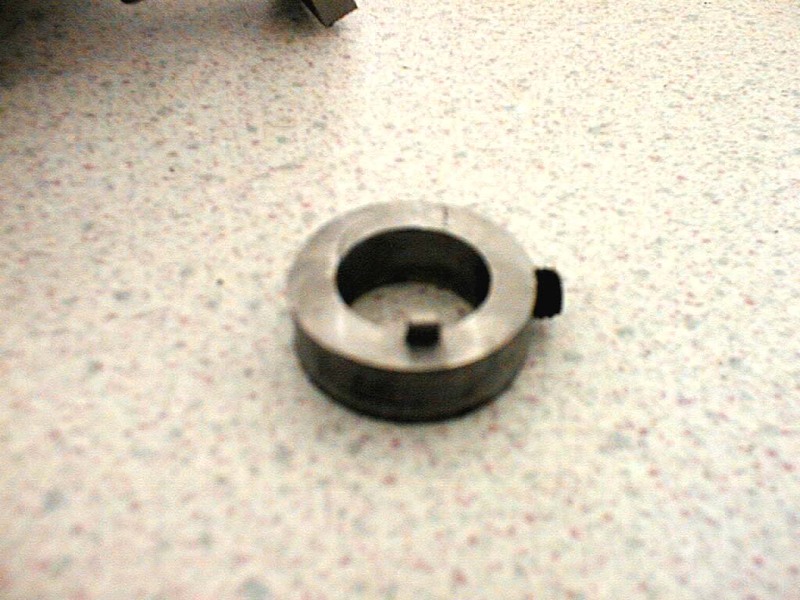 I've opted for an indexing wheel with 12 holes (interchangeable) through which a pin will fit in the style of a dividing head. This will give 480 divisions with the 40t gear and 720 divisions with the 60t gear. There have been a few howlers here, leading me to believe that the original drawings/sketches were never checked out properly. The whole assembly looks fragile although some ideas are springing up for re-design if it doesn't work out to be robust enough when running. That's about all I'm going to do on the work head for now.